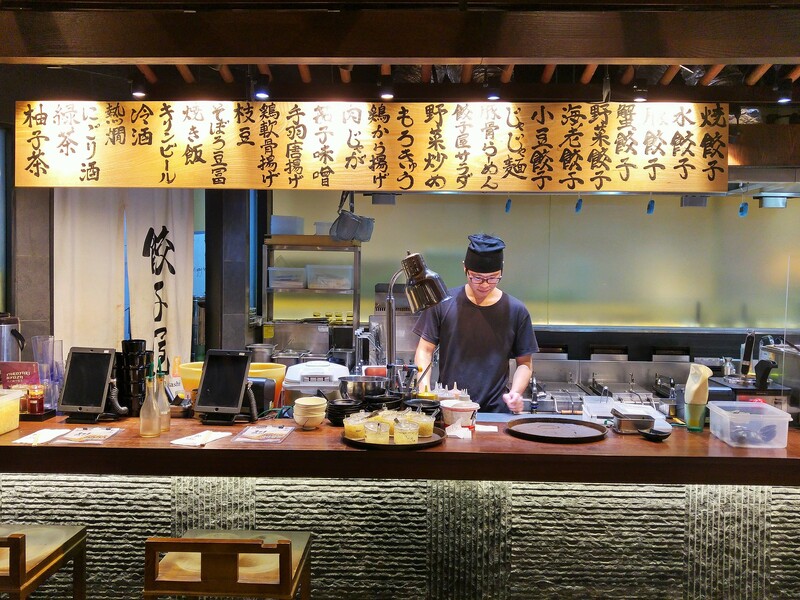 Visited Gyoza Ya at Ion Orchard lately, almost 2 years after I patronised their very first outlet at Robinsons. They started off with rather basic gyozas, such as pork/prawns pan fried or boiled, with side dishes created to go with their beers and sake. Till date, the range has been expanded to excite our ever restless palates. 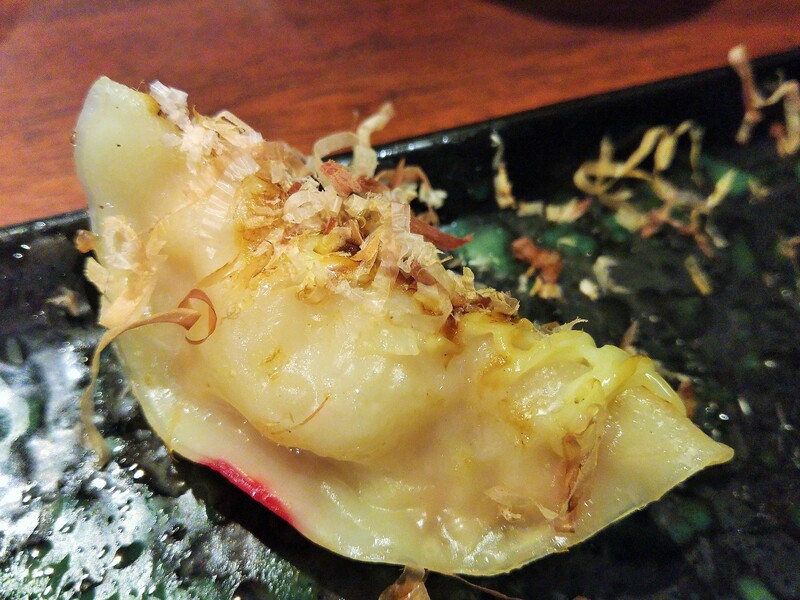 As a gyoza specialty outlet, each outlet has its respective star. Curry Chicken for Paragon's, Cheese for Robinson's and Mochi Mochi Ebi for Ion's. As my friend was alleged to prawns, we skipped Ion's specialty and went for their latest creation Yaki Takoyaki Gyoza ($7.80 for 5 pc). I quite like the extra crunch and chewiness lent from the tako bits. They are also less meaty compared to the full pork gyoza, which I also find more enjoyable. 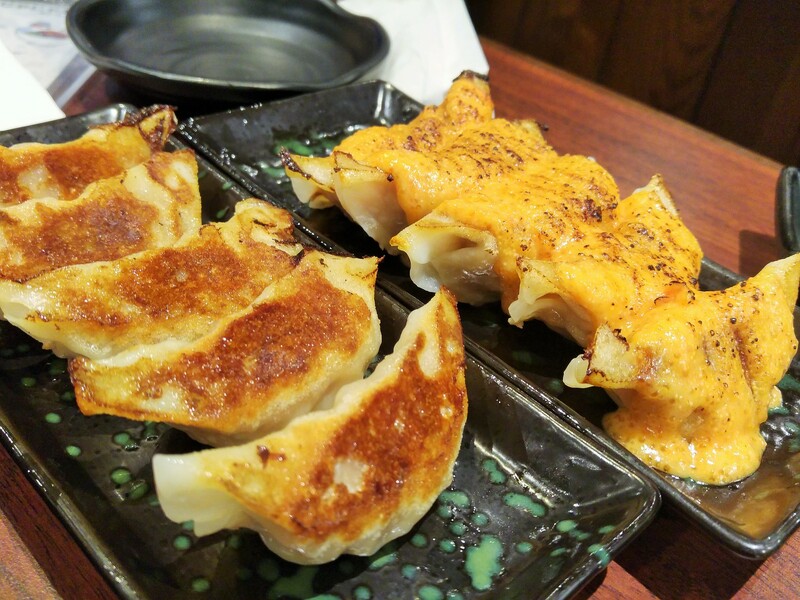 For a much stimulating flavour, you can try their Yaki Mentaiko Gyoza ($8.80 for 5 pc). It is rather heavy, hence you may just stop at 2 or 3. For something lighter, Gyoza with Mixed Vegetables may be a good option. Each variety comes in either pan fried or boiled version, and I personally much prefer their pan fried for the crispier texture. 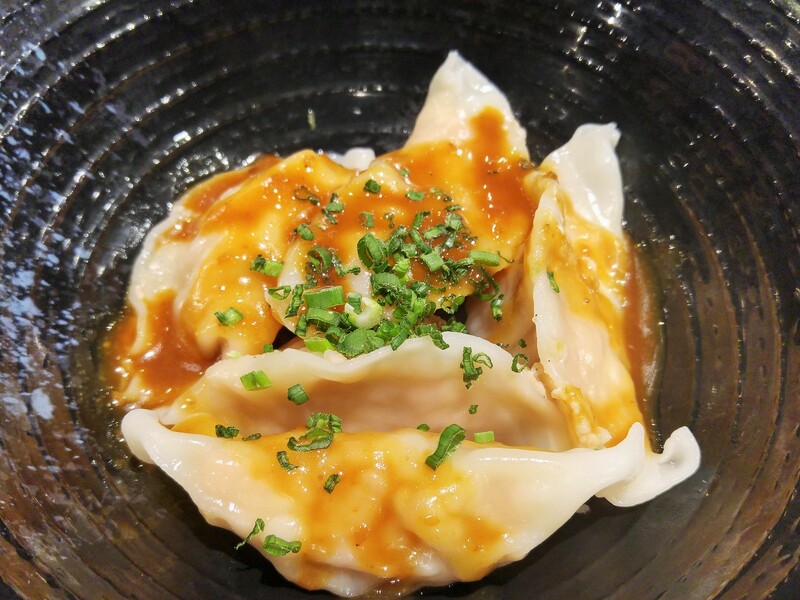 Their Shichimi-su Gyoza ($6.30 for 5pc) is an exception though, which is boiled and glazed with their special vinegar sauce. The base of the vinegar was made 2 years ago, and like a stock made of heirloom recipe, the vinegar gets richer and richer with new batches added on to it over time. Psychologically perhaps, this bowl of boiled dumplings tells a much more flavourful story than it would otherwise have told. Gyoza Ya has left an impression in me not because of their chunky, meaty gyoza, but their side dishes. I'm glad that Morokyu ($3.80) is still on the menu. It wouldn't have worked if the miso dressing is simply a dollop of thin miso paste. 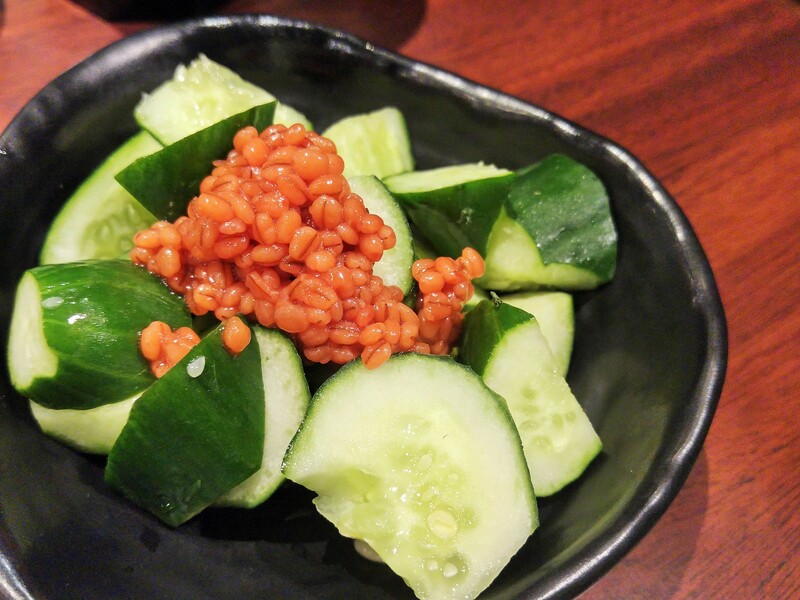 Each barley grain was pumped with miso, and together, they spread the miso flavour evenly over each cucumber cube. Hence, I didn't get that overpowering saltiness should miso paste has been used. 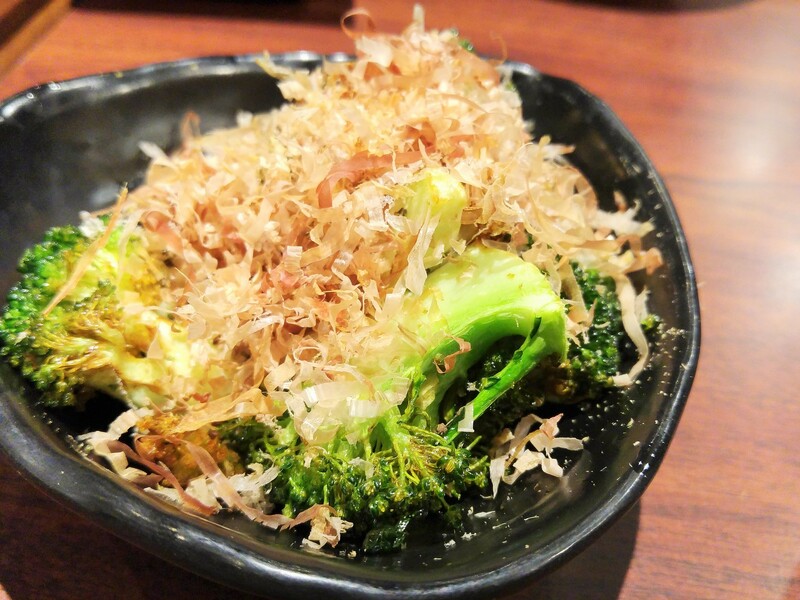 The owner recommended their new item, which is also his favourite as well - Aburi Broccoli ($4.80), and it has become mine too. Interestingly, it was conceived by accident, when the owner decided not to waste a charred broccoli which had accidentally dropped onto their grill. Slightly charred and lightly seasoned to taste, the sweetness and flavour of each stalk were intensified. My last wonderful experience with roasted vegetables was at Humpback, with their brussels sprout when I had 3 plates of that. I had 2 of this, and I believe a few more plates is not a problem at all. 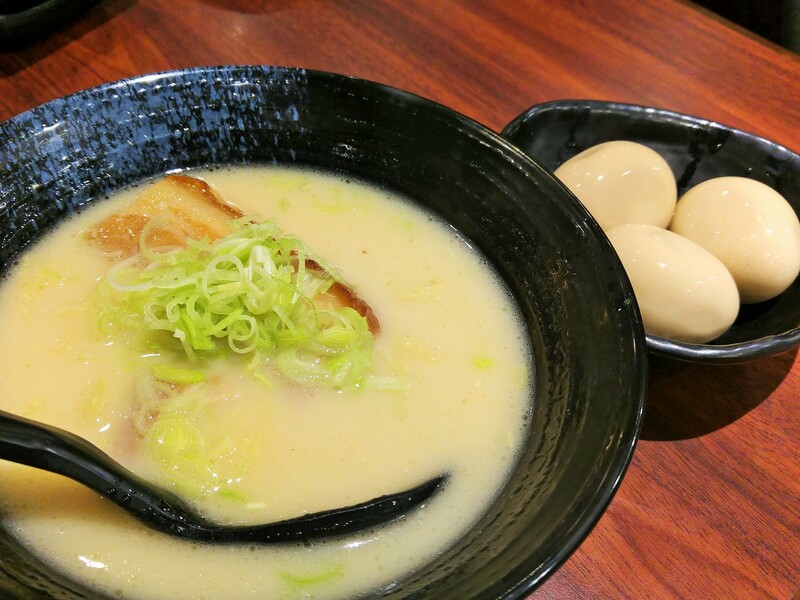 Although they are not a ramen specialty, their Tonkotsu Ramen ($6.80) is made with their very own pork bones broth, which is prepared in their central kitchen housed in Japan. I love its richness and milkiness, albeit being a little too salty for me. Their add-on egg ($1.50/pc) was also superb. They retrained a Chinese Chef to manage their Ninniku Yaki Meshi ($5.80) station and that smiley uncle only cooks this. 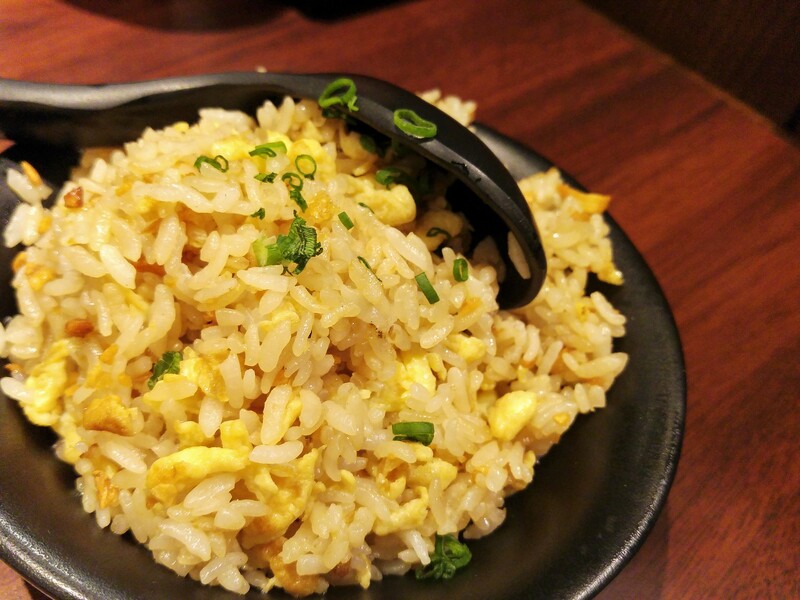 With the 'wok hei' taste and texture, this bowl of fragrant Japanese garlic fried rice does reflect his years of experience in wok and rice dishes. I kind of miss their seafood fried rice, which is not available at this outlet as the waiting time proves to be too much for the crowd here. Regulars come to Gyoza Ya for their hearty, affordable tapas-style food, beers and sakes. And after much waiting, their home brewed sakes are finally ready to be harvested! 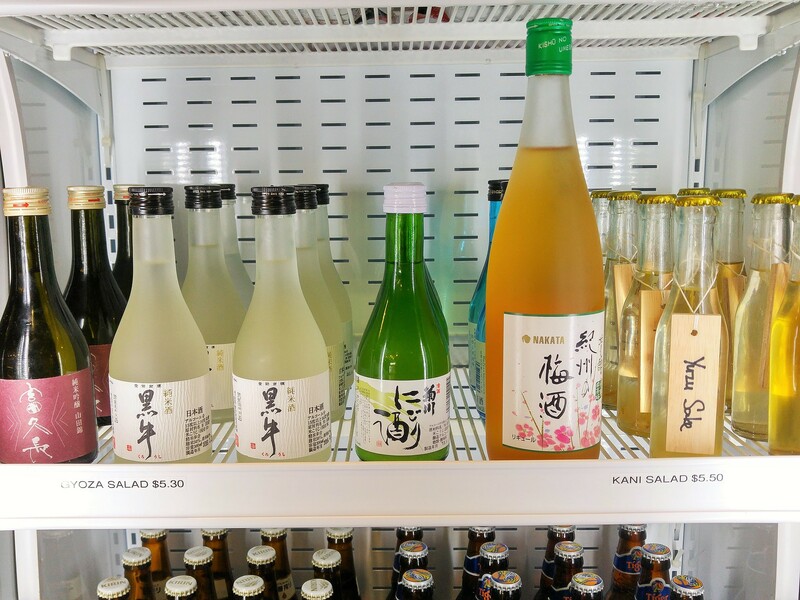 Yuzu and Green Tea Sake ($18.00 each) were available during my visit, and if you are lucky, there might be a couple more during your visit. For a more conducive drinking environment, Robinsons' may be a much better option.